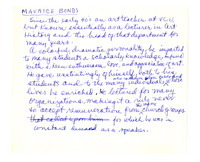 Description: A draft of Pollak's nomination of Maurice Bonds for the First Governor's Award for the Arts in 1973. These awards were intended for individuals and organizations in Virginia that had made significant contributions to the arts. 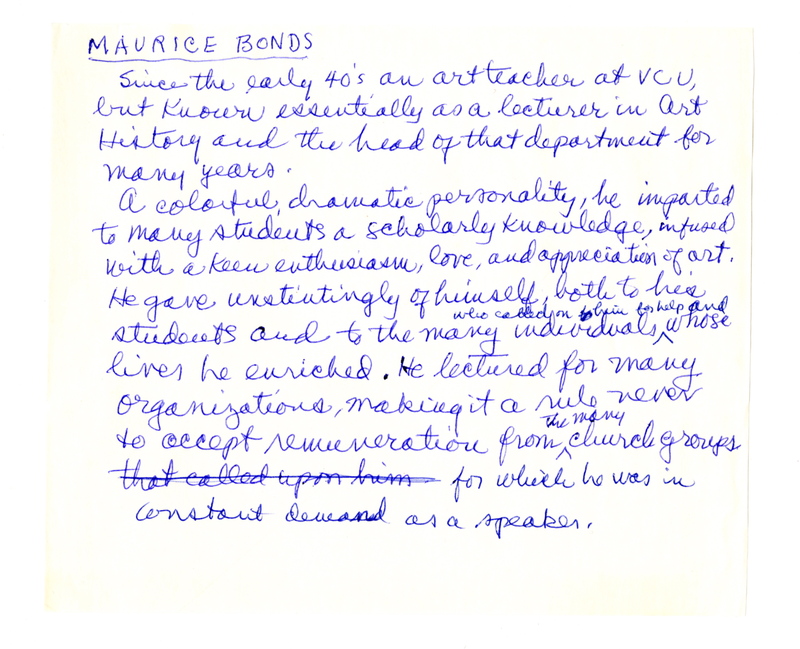 “Theresa Pollak's Nomination of Maurice Bonds for the Governor's Awards for the Arts,” VCU Libraries Gallery, accessed April 22, 2019, https://gallery.library.vcu.edu/items/show/2697.